With a family like this, Allie knows she has to make her mark or risk being left behind. She’s determined to add a shiny medal, blue ribbon, or beautiful trophy to her family's award shelf. 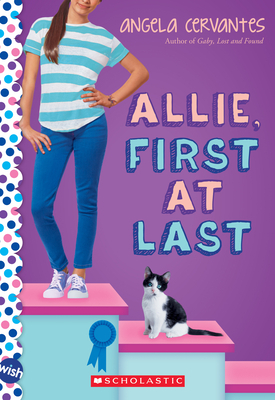 When a prestigious school contest is announced, Allie has the perfect opportunity to take first -- at last. There’s just one small snag . . . her biggest competition is also her ex-best friend, Sara. Can Allie take top prize and win back a friend -- or is she destined to lose it all? Award-winning author of The Revolution of Evelyn Serrano.